Cookistry: Start Your Pasta Cooking in Cold Water - Does it Work? Start Your Pasta Cooking in Cold Water - Does it Work? I've seen a number of posts on Facebook about cooking pasta by starting it in cold water. Which is exactly the opposite of what we were all taught to do, right? We're told to start with briskly boiling water, then add the pasta, stir to keep it from sticking, and quickly bring it back to a boil. But the cold-water method has the pasta added to cold water (or cold water added to pasta, I suppose) and then it's brought to a boil and cooked until it's done. Oh, and you don't need a vast amount of water. Just enough so the pasta is covered enough so it stays under water during cooking, which means it comes to a boil faster. One advantage to cooking this way is that the pasta doesn't stick to each other. There's a scientific reason for that. I was a little skeptical. But it worked. No sticking. The second advantage is that you don't have to wait for the water to start boiling before you start cooking. It starts softening right away. So cooking time is significantly less. I thought that second advantage would be the one that would win me over. But it turns out there's one more advantage, and for me, it's the killer reason for doing this. Here's the thing. When you cook potatoes, you always start in cold water so that the potatoes cook evenly from the outside to the center. If you started them in hot water, the outside of the potatoes would be mushy while the center is still raw. Well, because pasta is so thin, that's usually not an issue. BUT!!! I live at high altitude where water boils at about 202 degrees instead of the usual 212 degrees. I've noticed that unless I'm cooking something super-small, like angel hair, the pasta can be a little too soft on the outside, while there's still an uncooked "bone" in the center of the pasta. As much as I love it, pasta is not always my friend. 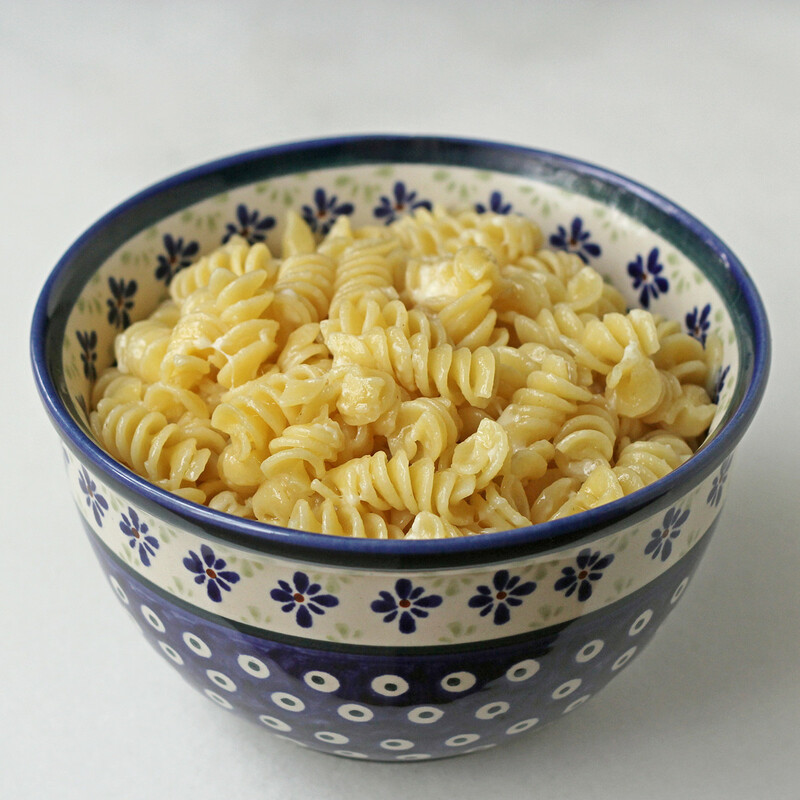 But when I cooked the pasta starting in cold water, it was evenly cooked from the outside to the center. I was thrilled. I'm never going to cook pasta any other way, ever again. But what about long noodles, you say? Since you don't need a deep pot, you can cook spaghetti, linguine, fettuccine, or any other long pasta in a skillet where it can lay flat. Yeah, it's pretty magical.